Two things in life have the sole power to make or break your look – shoes and brows. Today’s class is about the latter. 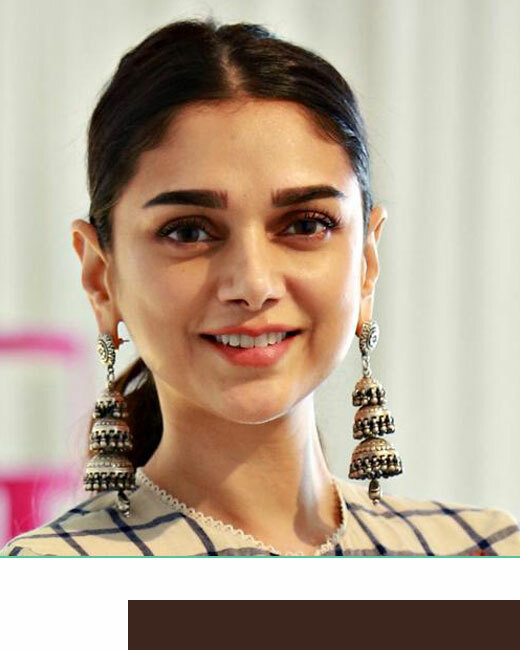 Consider this your TED Talk on how to flaunt a killer set with a little help from Nykaa Cosmetics. Well, to begin with, we’ve just launched a complete range that exclusively caters to your arches up north. 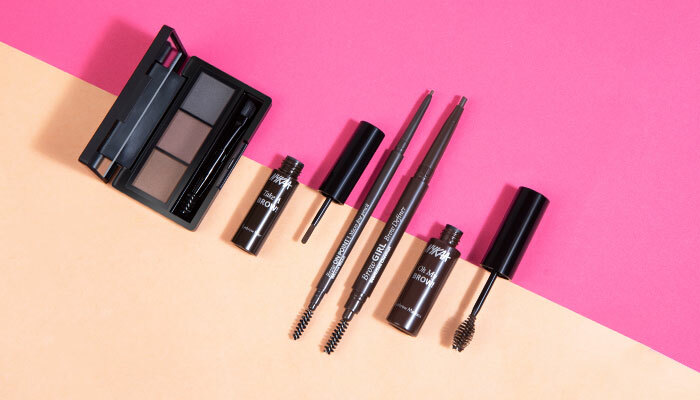 Collectively called ‘A Brow Affair’, each member of this brow high club is a stunner by its own. Whether you’re biased towards a softly defined set or are planning to jump on to the Insta-famous brushy-brow-bandwagon, we’ve got a match for you. 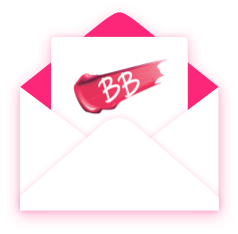 Get your A-game… errr… B-game on and the world will brow down to you in no time. If you’d take timeless over trendy any day, round brows are your friend. Good thing, this superstar helps you get the perfect shape without breaking a sweat. The silky eyebrow powder formula fills in smooth color while the thick-to-thin soft brush applicator flexes to give you the perfect rounded eyebrows that last from a.m. to p.m. Great brows have never been easier, nope. Fun fact: The sharp arch isn’t for the faint-hearted. Made famous by our onscreen sisters, a killer arch attracts major attention. So if you do it, make sure you do it well, which is why this taskmaster is on duty. Firstly, since your brows are gonna be the high point of your face (and probably the night too), tame them using the built-in spoolie. Now use the custom, tear-drop shaped tip to draw the sculpted arch before filling it in. The soft arch is probably the most popular shape among real women since most of us aren’t fond of either of the extremes. 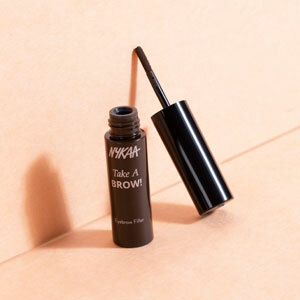 Well, here’s a mini brow bar that’ll help you nail the soft arch like an absolute pro. The applicator is a spoolie and an angular brush at the same time while the pigment is a brilliant crème-to-powder formula. 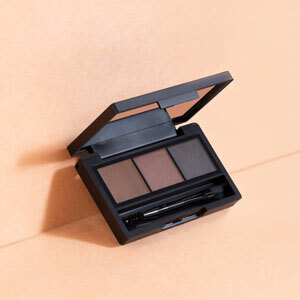 The best bit, however, is that you can coolly customize your brow shade with a little mix-and-match. Go bold or go home. Bushy, boy brows have been in for a while and its one of the Instagram trends that we’re fond of. 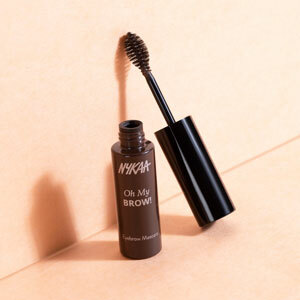 Now since the Brow Gods weren’t generous enough, our strategy is to fake it with a few swipes of this magician. 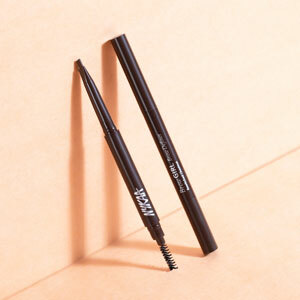 The tinted gel formula hugs your natural strands and creates the illusion of fuller, natural brows with every stroke. The soft-fibered wand prevents flaking and clumping. Power brows, every day! We get it if thick brows aren’t really your vibe. Don’t follow the herd, rather stand out with a slim set of well-defined arches. 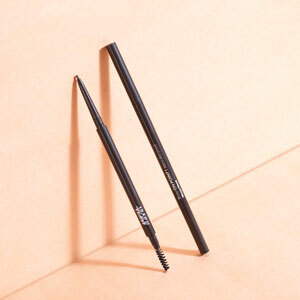 In fact, this magic twisty boasts of a precision tip that’s specially designed to create fine strokes required for thinner brows. The built-in spoolie also helps keep your brows in place so you get to slay ‘em gorg brows all day long. When nykaas liquid lipstick will arrive?? ?